This is a heavy duty log splitter designed and manufactured to split the toughest wood out there using a combination of GENUINE HONDA AUSTRALIA 4-stroke technology and some of the highest hydraulic split force available to produce a well-rounded reliable product. 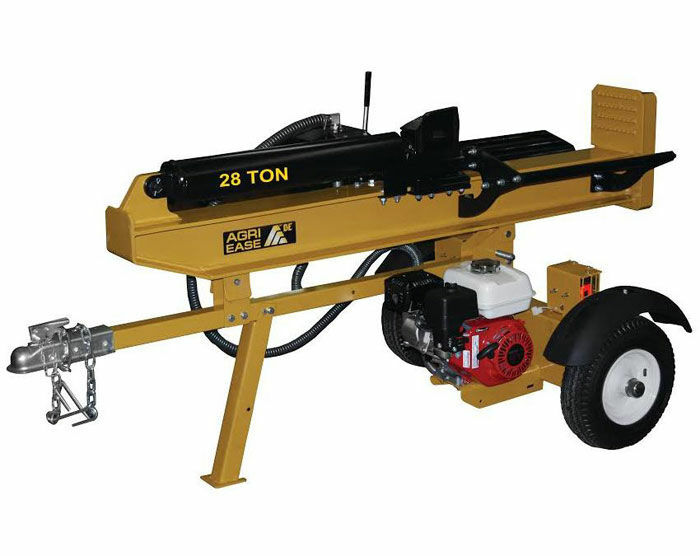 The 28 ton splitting force gives you plenty of strength to tackle all domestic wood splitting needs. Powered by a GENUINE HONDA AUSTRALIA GX200 engine you have the piece of mind that you are buying a product that is built to last. Honda is the industries leading competitor in 4-stroke engines due to their reliability, durability and easy to start nature. It goes without saying that this feature is by far and away the most attractive when it comes to the consumer. Honda has built a successful reputation on creating engines which are reliable, durable and easy too start with the GX270 being no different. The BAR Group log splitter can operate vertically and horizontally meaning that if the wood you want to split is large and heavy you can change the splitter to operate vertically making it easier to load the wood onto the splitter as you don't have to lift it. Log splitters are heavy and awkward to move, especially big 34T ones! The tow-ball and hitch makes life extremely easy as you can transport the log splitter via a vehicle rather then manually by hand.